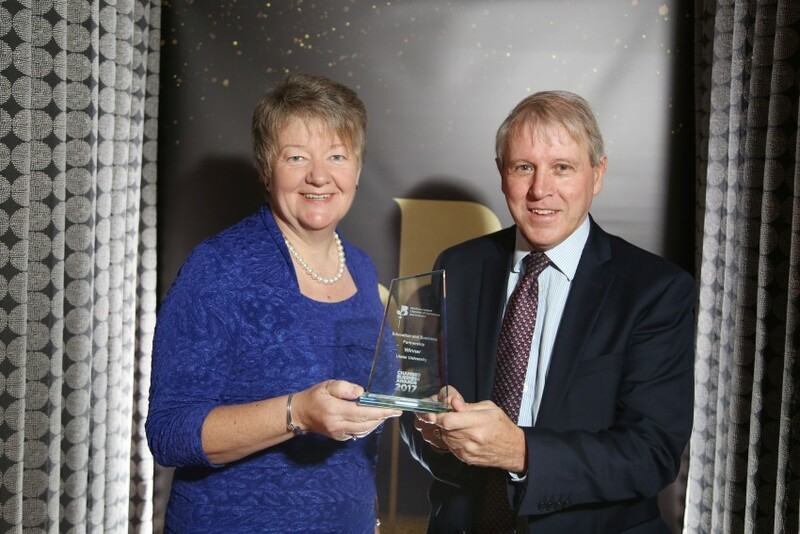 Ulster University has been crowned a winner in Northern Ireland Chamber of Commerce and Industry’s Chamber Business Awards for 2017. The University was awarded the ‘Education and Business Partnership’ award for Northern Ireland for its innovative and distinctive approach to employer engagement and business partnerships that supports institutional priorities, the Northern Ireland Programme for Government and relationship building with local, national and international businesses. The Chamber Awards is a highlight of the business calendar, showcasing the pivotal role local businesses play in the UK’s continuing growth story. Ulster University will now compete against other regional winners in the national finals in a bid to win the top UK business accolade in their category and also the chance to scoop the top title as overall National Chamber Awards winner 2017. “As part of our strategic plans at Ulster University we place student employability and business engagement at the heart of our activities ensuring that our learners are equipped with the knowledge, skills and confidence to excel in key industry sectors. “We work alongside businesses, from large global organisations to SMEs, to understand their current context, their short-term ambitions and long-term visions, their skills requirements and graduate needs, as well as considering the projections around our local economy. The Chamber Awards also recognised Young Enterprise NI for its strategic partnerships across business and education with a highly commended award.